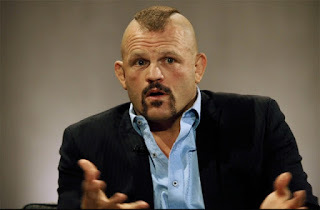 Chuck Liddell knocked Randy Couture into retirement in the rubber match of a trilogy at UFC 57. Couture won their first meeting at UFC 43, but the “Iceman” evened the score at UFC 52. The final fight was for the Liddell’s UFC light heavyweight title, and he knocked “The Natural” out with a right hand in Round 2. The bout drew a UFC record $3.3 million at the box office along with 400,000 buys on pay-per-view. Couture announced his retirement after the fight, but he came back one year later and fought in the Octagon eight more times. In other PPV bouts, Joe Riggs beat Nick Diaz by unanimous decision; and Renato “Babalu” Sobral used a rear naked choke to beat Mike Van Arsdale at the 2:21 mark. Jeff “The Snowman” Monson used his signature north-south choke to beat Brandon Lee Hinkle by technical submission in 4:35 of a preliminary fight. Other prelim results included Alessio Sakara over “The King of Rock & Rumble” Elvis Sinocic by unanimous decision; Paul Buentello over Gilbert Aldana by TKO; and Keith Jardine beat Mike Whitehead by unanimous decision.